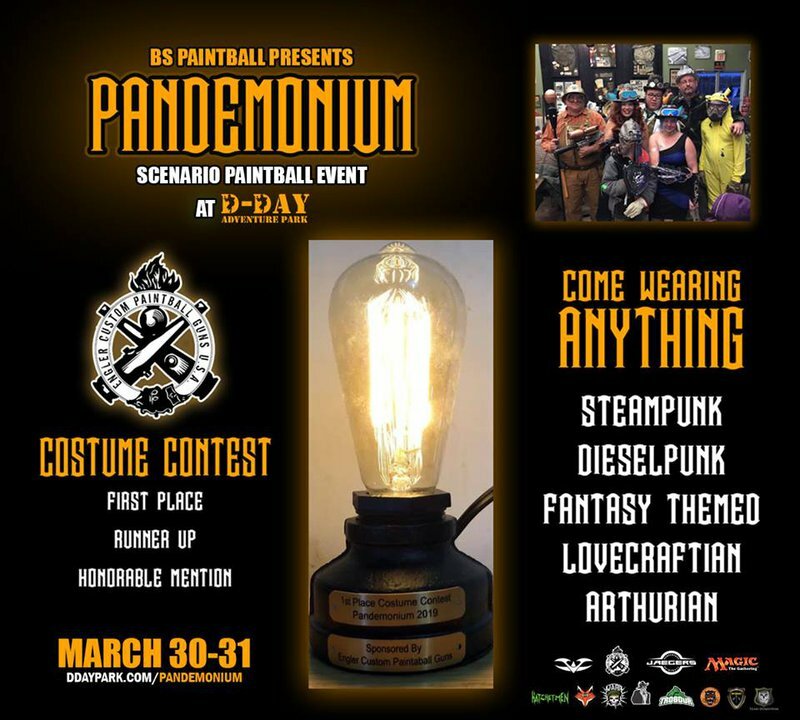 Pandemonium is a scenario paintball event produced by BS Paintball Productions and hosted at one of the world’s largest playing fields, D-Day Adventure Park. Pandemonium is a steampunk-themed scenario that features a constantly developing story of rich lore which you, the players, help create. 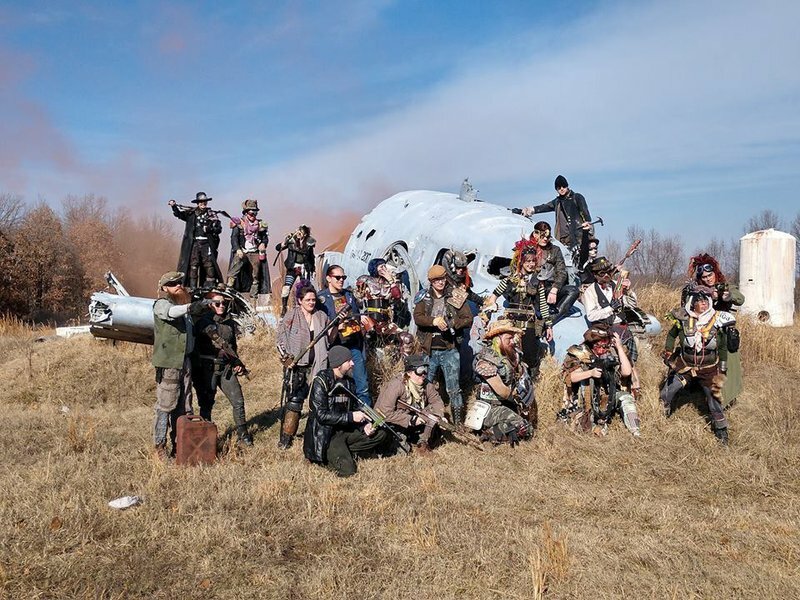 The scenario itself features a beautiful 600+ acre playing field, awesome paintball tanks, powerful and hilarious player abilities, and much more. 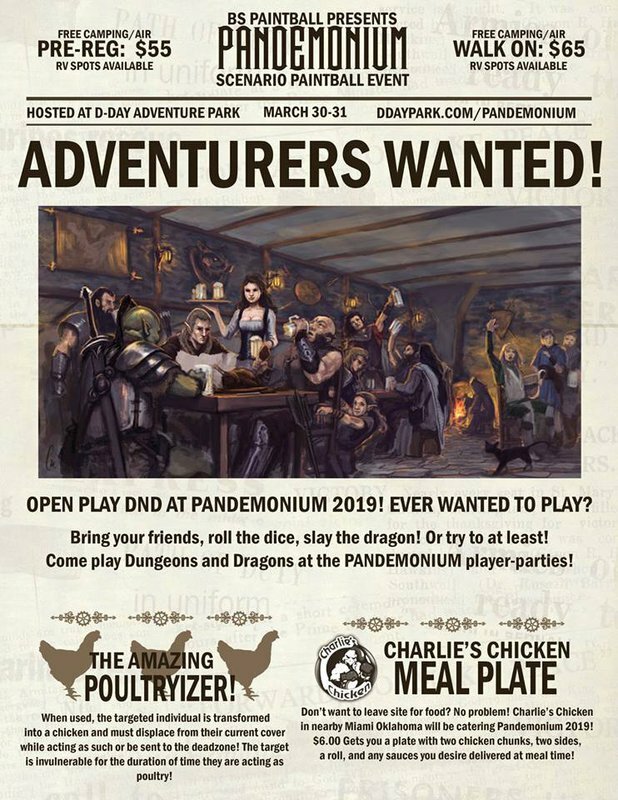 BS Paintball will be hosting several open-play Dungeons and Dragons games during the player-festivities. Come drink some ale, roll the dice, and slay the dragon during a pitched "Magic: The Gathering" tournament that has real-world consequences on the flow and tide of the game. 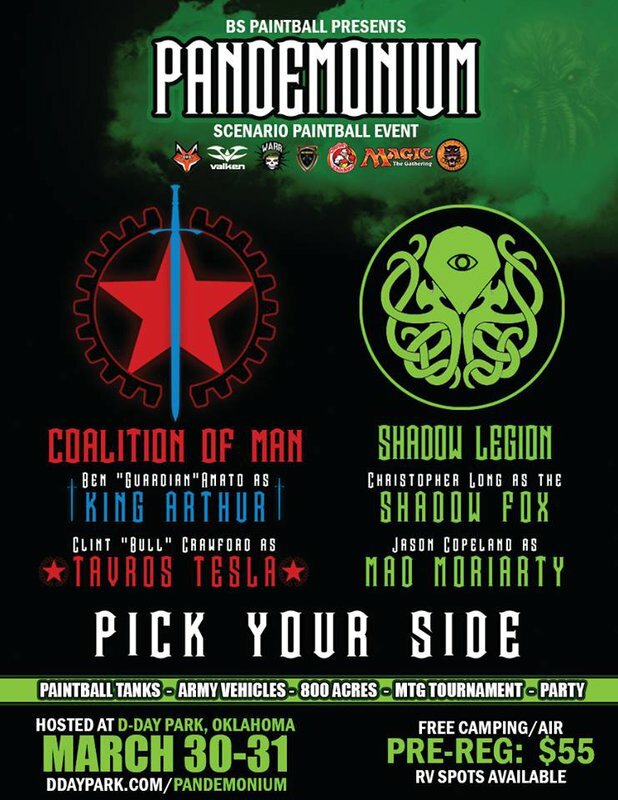 The card games will take place at the same time as the paintball games and will allow players from each faction to score points for their side, win specialty spell cards for players to cast on the field, or win the allegiance of armored paintball vehicles for their side during the battle. All official games will use provided blind pre-built decks as to ensure a level playing environment, but players are encouraged to bring their own decks to the event as well. No matter what your skill level, from first-time scenario player to die-hard scenario veteran, there's a place for you in the epic, two-day event, held at D-Day Adventure Park in Wyandotte.